Love this post by Mastin Kipp: “If, for some strange reason, you have or still keep attracting lovers who only end up causing you pain, today’s words are for you. Each person in your life is sent there for your benefit and to teach you a lesson. The lesson could be how to trust yourself. The lesson could be that you are loved. The lesson could be to heal a wound from your past, or perhaps, the lesson could be forgiveness. Now, think about this. If someone is sent into your life to teach you forgiveness, how else could you learn the lesson of forgiveness than by being betrayed or let down by someone you care for deeply? Or, if the lesson is to teach you how to trust yourself, then how else could you learn except by getting into a relationship where you KNEW from the beginning that is wasn’t good for you, but you proceeded anyway? Some lessons come bearing pain; others come bearing great pleasure and reward. YOUR task is to see the people who are coming in and out of your life from a larger perspective and ask yourself what you are learning from each person. YOU have consciously or unconsciously chosen who the people are in your life. As a result, you are either consciously or unconsciously signing up for a lesson from each person you allow into your life experience. If you keep choosing people to fill your life experience who you know deep down aren’t healthy for you, but that being with them is better than being alone, then you are signing up for a painful lesson, AGAIN, about how to trust yourself. You will keep attracting people into your life who leave that painful aftertaste until you start to trust yourself. Then, slowly but surely, your life will begin to change. When you trust yourself and ask more of The Uni-verse, your attraction point changes and the people in your life change as a result. If you want to attract that loving person, then ask more from The Uni-verse. Embrace being alone. Accept that it will happen in perfect time, but not necessarily on YOUR schedule. Forgive past lovers, for they have only come bearing the gift of a lesson. When you forgive, you create more room in your life for BIG LOVE. Feel the pain, but then step back and see the lesson. Next time, learn from the past and make a new choice. Read this gem of an article from The Daily Love ❤ Disclaimer: Just because I share an insight by Mastin / The Daily Love, does not mean I am aligned with their teachings / programmes in all its entirety. There will always be things we agree with /don’t agree with. Please apply personal discernment. Take what you can use, leave out the rest. There are some unpleasant experiences that keep repeating itself, despite the forgiveness and the benefit of faith. For me it means that there are still some lessons to be learnt, and until I learn it full well, I am allowed these experiences again and again. I love how I’m growing more and more in awareness and understanding each time, with less and less fear and anger. I learn fast, and see myself growing wiser, calmer and stronger for every time it happens. I love that I’m not bitter. You can’t really put yourself in that miserable state when the level of awareness is growing to the level that it is. I’m still human, I still feel sad, and shed a tear or two, but the bounce back is healthier and quicker. I love the resilience I’m gaining. It’s all very new for me (and yet not really), to progress from a place of knowing to fully understanding that there’s no benefit in putting a label on a person or their choice of action, but more benefit in learning more about myself each time. I love that I still get to wish the person giving me the Gift of Pain, nothing but growth and awareness in good time. I love that I get to accept that he is what he is and this is the reality and truth of his being, until he reaches his growth. And I am grateful for this day, for the way it is unfolding, even though, it is not according to my plan. I believe in the Greater Plan, and so far, so good. I wrote all of these thoughts down, in the midst of an ‘unpleasant experience’. I have lost count how many times this has happened. It happened while we started seeing each other. Why am I surprised that it’s happening even now, as friends? The truth is, friends don’t treat friends this way. The realization of that truth today feels sad for me. After spending the day with another friend, by the time I got home in the evening, all the Brave that’s been propping me up, made way for the humanness in me. Tears started rolling down my cheeks, even as I was laughing and watching ‘How to lose a guy in 10 days’ with my sis. 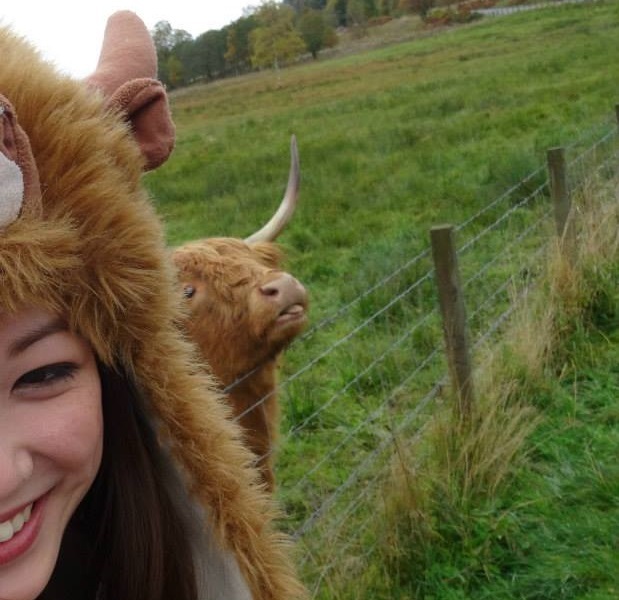 I do feel like a silly cow (the image I have in my mind is of this super sweet and cute kind of silly cow I met in Scotland though. 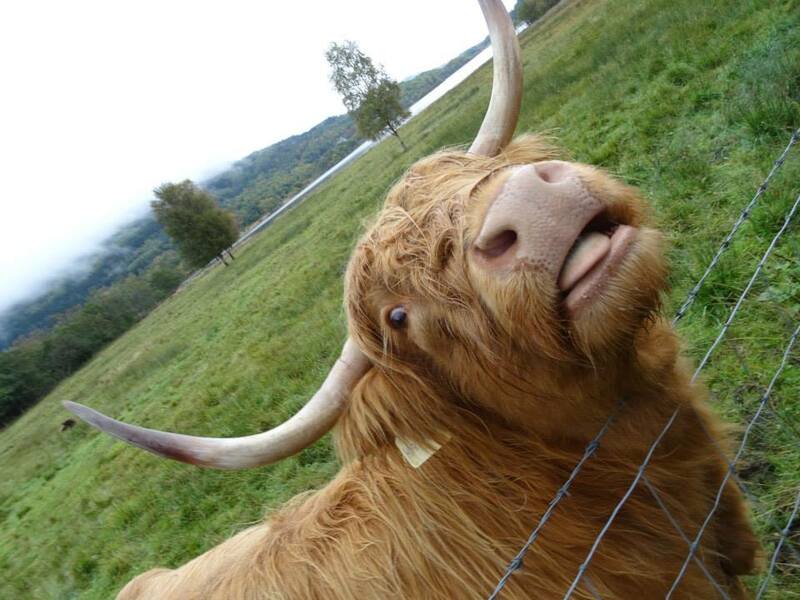 They’re known as Hairy Coos. Will share an image below so you can picture it… ). I feel silly for having a heart that is open and loving, and allowing the same person to keep taking it for granted–or at least that’s how it feels. I feel silly, but I don’t regret a thing. I still stand by what I wrote in the morning. And I read a post today ‘Don’t apologize for loving someone – not ever’ that truly resonates with me. Having said that, I love that immense self-love and compassion towards self is telling me that I get to stop now. I tried. I truly tried. I hear what my friend L said today, ‘It’s not about being silly. You just got to know when to give up.’ There comes a time when I need to know when to walk away. No girl or guy deserves to be treated this way. We deserve better. I had so much respect for him, but FIRST, self-love means I must have more respect for me.